Step out of the city life by going to Melbourne Zoo and Half Moon Bay. You'll enjoy a bit of beach vacationing at St. Kilda Beach and Cape Woolamai Beach. Change things up with these side-trips from Melbourne: Werribee Open Range Zoo (in Werribee), Cowes (Cowes Beach & Tyde) and The Great Ocean Road (in Torquay). There's still lots to do: take in nature's colorful creations at Royal Botanic Gardens, brush up on your military savvy at Shrine of Remembrance, take a stroll through Melbourne Central, and stroll through Sandridge Beach. To see other places to visit, photos, where to stay, and other tourist information, refer to the Melbourne trip planner. Dusseldorf, Germany to Melbourne is an approximately 24-hour flight. You can also do a combination of train and flight; or do a combination of flight and train. Traveling from Dusseldorf to Melbourne, you'll lose 9 hours due to the time zone difference. Expect much warmer temperatures when traveling from Dusseldorf in March; daily highs in Melbourne reach 30°C and lows reach 15°C. Finish your sightseeing early on the 3rd (Wed) so you can travel to Sydney. 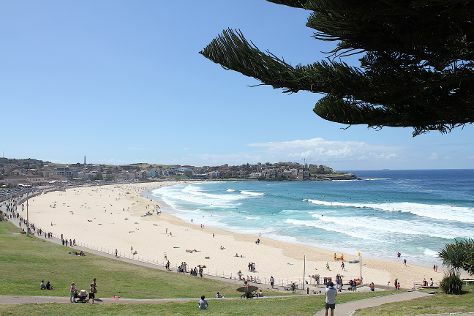 Visit Bondi Beach and Clovelly Beach for some beach relaxation. Escape the urban bustle at Manly Beach and Maroubra Beach Rocky Climb. Change things up with a short trip to Shelly Beach in Manly (about 36 minutes away). Spend the 8th (Mon) exploring nature at Sydney Harbour National Park. There's much more to do: see a show at Sydney Opera House, take in nature's colorful creations at Royal Botanic Garden Sydney, don't miss a visit to Sydney Harbour Bridge, and stroll through Freshwater Beach. To find more things to do, other places to visit, traveler tips, and tourist information, read Sydney trip app . You can fly from Melbourne to Sydney in 3.5 hours. Alternatively, you can do a combination of shuttle and flight; or drive. Traveling from Melbourne in April, you can expect nighttime temperatures to be somewhat warmer in Sydney, with lows of 17°C. Finish your sightseeing early on the 9th (Tue) so you can travel to Brisbane. Your itinerary includes some good beach time at Burleigh Heads Beach and Mooloolaba Beach. Get in touch with nature at Lone Pine Koala Sanctuary and Moffat Beach. You'll find plenty of places to visit near Brisbane: Pelican Feeding (in Labrador), Caloundra (MaisyMoo & Kings Beach) and Buderim Forest Park (in Buderim). And it doesn't end there: kick back and relax at Dicky Beach, get your game on at Zoccer Sports - Bubble Soccer, admire the natural beauty at Brisbane Botanic Gardens Mt. Coot-tha, and explore the wealth of natural beauty at Burleigh Head National Park. 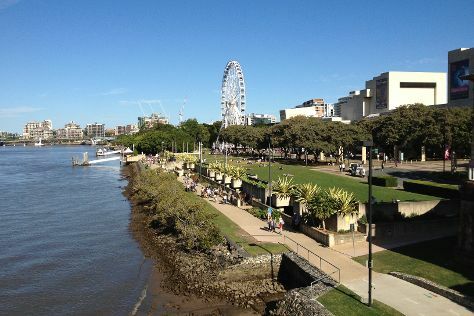 To find photos, ratings, where to stay, and more tourist information, refer to the Brisbane trip planner . Getting from Sydney to Brisbane by flight takes about 4 hours. Other options: do a combination of flight and bus; or drive. In April, daily temperatures in Brisbane can reach 30°C, while at night they dip to 19°C. Wrap up your sightseeing on the 16th (Tue) early enough to travel to Cairns. Your itinerary includes some good beach time at Thornton Beach and Four Mile Beach. Get outdoors at Scuba & Snorkeling and Safaris. Change things up with these side-trips from Cairns: Alexandra Bay Waterfall (in Diwan), Palm Cove (Hartley's Crocodile Adventures, Spas & Wellness, & more) and Port Douglas (Horses in Port & Wildlife Habitat Port Douglas). The adventure continues: look for all kinds of wild species at Daintree Rainforest - Cooper Creek Wilderness, enjoy the sand and surf at Trinity Beach, trek along Esplanade Boardwalk, and stroll through Yorkeys Knob Beach. To see ratings, more things to do, reviews, and more tourist information, use the Cairns journey website . You can fly from Brisbane to Cairns in 5.5 hours. Alternatively, you can do a combination of bus and flight; or drive. Prepare for somewhat warmer weather when traveling from Brisbane in April: high temperatures in Cairns hover around 34°C and lows are around 26°C. Cap off your sightseeing on the 24th (Wed) early enough to travel back home.